There are 3 species of zebra: Grevy’s, Plains, and Mountain zebra. Plains zebra are the smallest and most abundant species of zebra. Grevy's zebra are Endangered. Zebras have excellent hearing and eyesight. 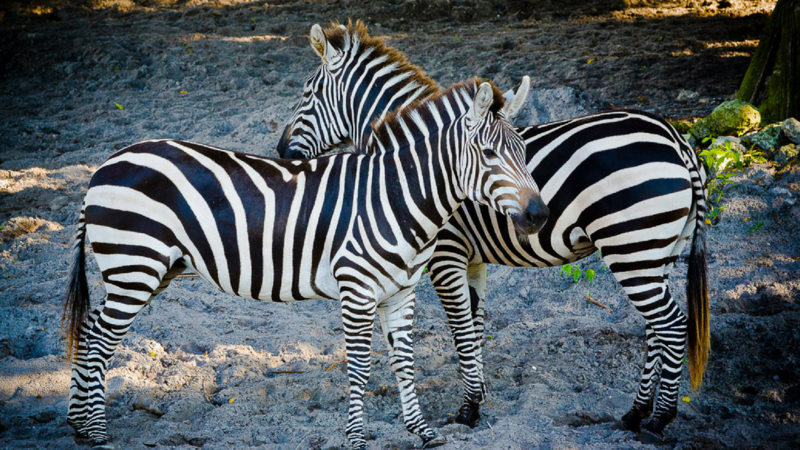 No two zebras have exactly the same pattern. They can run up to 35 mph. The young and female zebras run, while the males trail behind to defend them. If one is attacked, others circle around to help protect it from predators. Zebras live in groups called harems, consisting of a male stallion, several female mares, and their foals. The harems will often join with other families to form large herds.